Throughout my years of practice I’ve always had the mindset of constant improvement: learning new procedures, improving on the procedures I already perform, adding new technology when it can improve outcomes, and many other avenues. While all of these are important to help achieve better clinical results, perhaps the most important skill I can seek to master is my ability to communicate with and understand my patients. The fact that there’s still a great many people who have dental fear and anxiety is not going to surprise anybody. Everybody who sits in my chair has had a dental experience before (well, almost everyone), which means they also have feelings about it; good, bad or otherwise. Throughout my years of listening to what my patients liked and didn’t like I’ve been able to identify what I believe are the three main causes of dental fear and anxiety. If dental anxiety is something you’ve ever experienced, I encourage you to read on and see if any of these resonate. I’ll start with the third-most common. I’m going to come right out and say it: dentistry can be expensive. And unless you just won the lottery, we know that the financial considerations of getting your dental work done will play a role in the treatment planning. 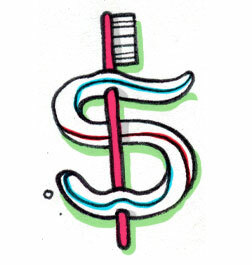 I encourage you to check out our page on affordability where I outline the various services, discounts, and financing options we offer to make your dental care more manageable. Beyond the immediate financial concerns of dental care there is another money-related concern many patients have; it’s what I call the “doctor-knows-best” experience, and it’s even more insidious and disconcerting. I can’t tell you how many times a patient has told me about an experience where their dentist said something like: “This tooth needs a crown, let’s get it scheduled in two weeks. See you soon!” And that represents the beginning, middle and end of the conversation. What the patient hears is “I don’t care about your thoughts on the matter” and “I just want to do the most expensive treatment.” While that approach may have been the norm for previous generations, today it’s as archaic as wooden dentures. It blocks communication and erodes trust, the two most important pieces of the dentist-patient relationship. Our treatment plans are not a one-way communication, they are a discussion about what is right and what is recommended for treatment. They are a discussion of options, with nothing absolute, only the pros and cons of each choice. And there is one choice that is always an option but rarely mentioned, the choice of doing nothing. You are the final decision maker for your dental care, our job is to present findings, have a discussion on what is going on, make recommendations for treatment, and present the pros and cons of each choice. We will never presume to know what’s best for you and make your treatment decisions for you. In fact, I only want to proceed with treatment when you fully understand why we’re doing it and you request that it be done. Money is a difficult topic to discuss. Trust us to walk you through the process in an understanding and professional manner. Coming up next: the number two dental fear. You may be surprised it’s not number one! Don’t like needles? Neither do I! Do my children need Dental Sealants?